4 - Attachment Comb: 1/16", 1/8", 1/4", and 3/8"
Nano-Silver technology with real silver has anti-bacterial properties. 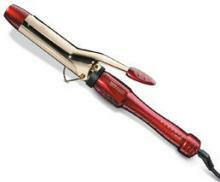 Real gold-plated barrels provide maximum heat for curling and straightening. Heats to 400 degree. Variable heat settings (dial up to 20) for all hair types. Fast 60 second heat-up. Virtually eliminates static. Designed for a smooth, gliding experience. On/Off switch. Safety cool tip. Tangle free swivel cord. Variable heat settings (dial up to 20) for all hair types. Fast 60 second heat-up. Heats to 400 degree. On/Off switch. Tangle free swivel cord. Tourmaline - crushed from precious gemstones, Tourmaline crystals emit negative ions that quickly seal the cuticle layer and eliminate frizz for smoother, silkier hair in 60% less time. Nano-Ceramic - with its ultra smooth finish, minimizes friction and delivers far-infrared heat. It penetrates hair from the inside out, for deep, long-lasting styles. Tempered steel with large finger holes and straight pointed tip. Use for cutting silk, wraps or even extended nail tips. 7-in-1 coolant, deodorizer, lubricant, cleaner, rust preventative, decontaminate, and vitamin E. Washes away hair, buildup and preservatives that accumulate on clipper blades. Leaves blade clean, lubricated and cool for optimal performance. Formulated for use by hair stylists, barbers, animal groomers and veterinarians. Formulated for Beauty Shop, Barber Shop, Pet Salon, and Animal Hospitals. Complies with OSHA and state board rules. EPA-registered bactericide, fungicide and virucide. Kills HIV-1 and TB. For use by hair stylists, barbers, animal groomers and veterinarians. Disinfects and lubricates hair clippers: Effective bactericidal, fungicidal, virucidal and tuberculocidal action. 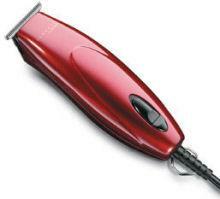 A thin film of lubricant remains behind to reduce friction and permit clippers to run smoother. Cools hair clippers: Blows hair and dirt out from between the teeth; cleaning and at the same time cooling the blades. Longer Life: Regular use will help give clipper blades longer cutting life, prevent rust, and will keep them sharper with crisper cutting action. Thoroughly clean clipper blades, removing any organic soil. Hold can upright about 6" to 8" away from surface with clipper turned off. Spray Clippercide through teeth of clipper blades covering all surfaces after each use. Keep surfaces moist for 10 minutes. Allow to air dry. Formulated for Beauty Shop, Barber Shop, Pet Salon, and Animal Hospitals. Meets AOAC germicidal spray products test standards for hospital disinfectants. For use by hair stylists, barbers, animal groomers and veterinarians. 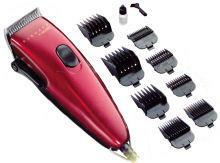 Cools hair clippers: Turn the clipper off occasionally during use to spray the blade and teeth. The lubricating aerosol sprays away hair, dandruff and dust particles, and cools the metal. After each use, clean clipper blades to remove hair and other organic soil. With clipper turned off, hold dispenser upright 6 to 8 inches from blades. Spray teeth of clipper until wet. Keep surface wet for 10 minutes, Allow to air dry. 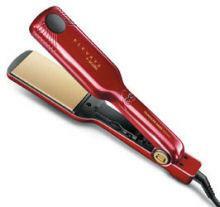 Between full applications, spray clipper to cool blades and blow away stray hairs. 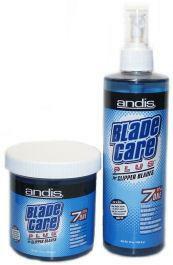 Use regularly to keep blades lubricated.